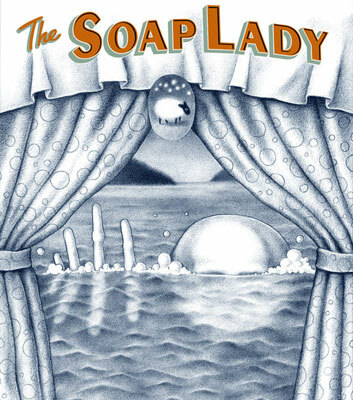 Inspired by an actual mummy that resides in the Mutter Museum in Philadelphia, THE SOAP LADY is a wonderfully clever tale about a creature made entirely of soap who befriends a small child. Exploring the eternal theme of "not judging a book by its cover," this Children's Book will appeal to everyone -- adults and children alike. Whether you're a fan of Frankenstein, bubble baths, ventriloquist dummies, or all three, you won't want to miss this beautiful -- and yes, creepy -- tale of friendship and betrayal. Definitely Reneé French's most detailed and gorgeous work to date. 112 pages, Hardcover.